Want something that we don’t grow? Let Millcreek grow it for you! Millcreek offers a Custom Growing Service for special orders of herbaceous plants. With this service, we will custom grow plant varieties and plant quantities you require, using the container sizes and soil mixes we routinely use. This service is particularly valuable to landscape designers who know of large projects being planned in advance or garden centers who are looking for a specific plant variety to be ready at a specific time. Please contact us to discuss your particular needs. The order must specify plant variety, quantity of each plant required, size of container, and the date the plant order is needed. Unless otherwise specified, one label will accompany each flat, and one label will be inserted into every 50 PRO #1 and/or IMPACT (1-gallon) containers. Please place your order to allow us as much time as possible to accommodate your needs. 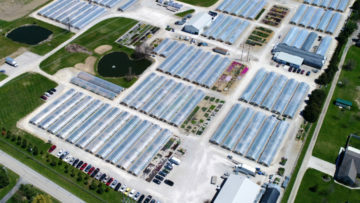 Each request will be reviewed by the Growing Operations Manager, who will determine if the order is logistically possible, given the timing for current crop schedules, allocation of resources, space requirements, etc. Upon approval of the order and receipt of a security deposit, we will purchase the necessary materials to Custom Grow your plant material. An Acknowledgement will be sent to you to confirm the details and price for your Custom Grown order. You must sign the Custom Grown Acknowledgement, and return one copy with a 50 % security deposit before Millcreek Gardens will order any materials. The security deposit will be returned in full if your order is cancelled before Millcreek Gardens orders materials for your Custom Grown order. If your Custom Grown order is cancelled after Millcreek Gardens orders materials, but prior to production of the order, the cost of the purchased materials or restocking fees will be deducted from the security deposit, and the remaining balance will be returned. 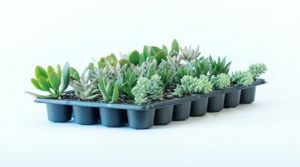 If your Custom Grown order is cancelled after production of the order, but before shipment, the security deposit will be forfeited to cover our costs of production and marketing of the Custom Grown plants. Receipt of a signed Acknowledgement and 50% security deposit confirms that you agree to the Requirements and Terms and Conditions for the Custom Growing Service. Other charges may apply, including Delivery Service, Special Handling Charges, etc. Please contact our Sales office at (800) 948-1234, option 1, or email us with any questions.